From seafood feasts and southern delicacies to Cuban cuisine and Spanish spices, St. Augustine’s restaurants are a welcome vacation for your taste buds. 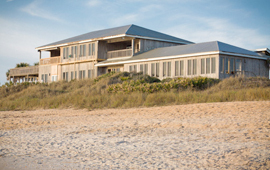 Looking for a different dining option on St. Augustine Beach? Then this is the place! Serving breakfast, lunch, and dinner, we offer a melding of culinary influences along with a wide selection of traditional dinner plates. Our main focus is tapas-inspired, sharable-sized selections giving you the opportunity to try a variety of dishes. From ceviche to banana coconut fritters, shrimp and grits to flatbreads and burgers, flank steak with chimichurri and filets to pilua..come experience our cuisine today! 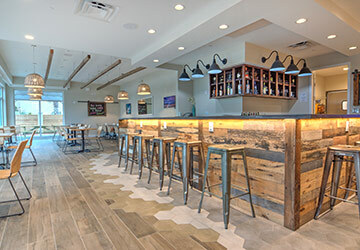 Our bar features freshly prepared juices, local spirits and craft beers, award winning cocktails and beach-friendly libations alike. Just like its eclectic blend of accommodations and attractions, St. Augustine also offers a wide variety of casual and upscale restaurants. 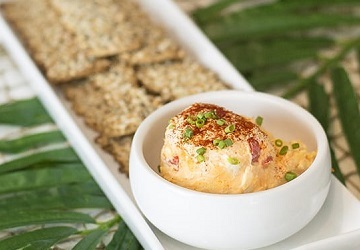 Acclaimed for their variety, the many fine restaurants in St. Augustine offer some of the best choices in Northeast Florida. The area has a variety of ambience choices as well, including authentic pubs, fine dining, gourmet bistros, waterfront terraces and unique, casual cafes. 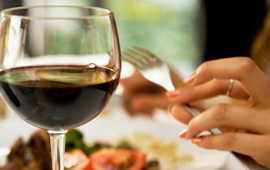 Come dine with us and enjoy the nation’s finest food in the nation’s oldest city! And for a nightcap, make sure you check out our clubs and pubs in the St. Augustine Night Life section! Not every evening’s meal has to be an elegant in order to be a fun, memorable and delicious experience. Vacations wouldn’t be enjoyable without a few casual meals in flip-flops and jeans. 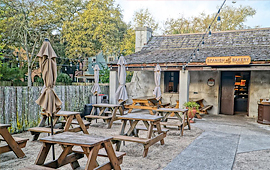 Whether you plan to dine with the kids in tow, or simply desire a laidback meal to complement a relaxing day at the beach, St. Augustine has a host of great eateries with family atmospheres and delectable food. Many of the restaurants in our listings below are great for families, give them a call if you’re unsure whether or not they are kid friendly. FRESH FISH on the WATER! 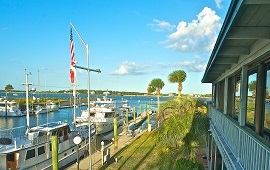 St. Augustine's premier seafood restaurant Kingfish Grill. Spectacular views, indoor and outdoor dining on the water. Open 7 nights from 4:00 p.m. Lunch served Saturdays and Sundays from 11 30 a.m. Available weekdays to host Holiday Parties, Business Meetings, or Social Gatherings for parties of 50 or more. Full Bar and Seasonal Entertainment. 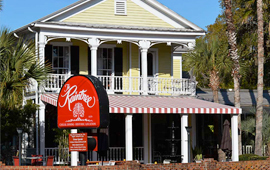 Experience North Florida low country cookin' in a charming creekside setting overlooking Gonzales Creek off the Intracoastal Waterway. We offer three separately themed dining rooms as well as a comfortable bar area that opens onto a large outside deck. Weather permitting, customers can dine outside or relax with a refreshing drink and listen to some of the area's musicians. 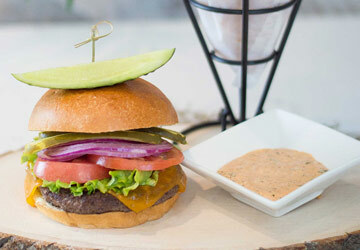 Looking for a place to eat that serves fresh, organic food? Then St. Augustine's newest restaurant, Brunch is the answer! Farm to table meats, in-house smoked salmon and trout, as well as homemade breads, pastries, jams and sauces. Everything you want at its' best for breakfast and lunch! Open Monday - Thursday 7:30am - 3:00pm, Friday - Sunday 7:30am - 3:00pm. Dine as you look at the spectacular views of the Atlantic Ocean. This will complete your trip to St. Augustine. 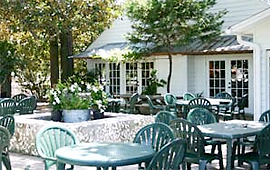 Romantic, special occasion, wedding receptions, or just a wonderful place to dine. 150 oceanview seats to choose from. Inside and outside seating. Live music on the weekends. Daily happy hour from 3 to 7. 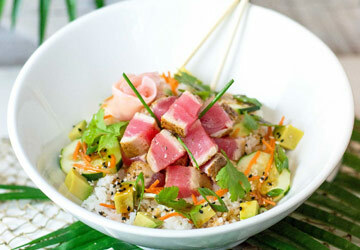 Casual oceanfront dining has never been so good! 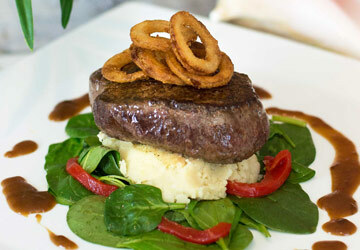 Listed in Robert Tolfs Top 200 Restaurants in Florida since 1990. 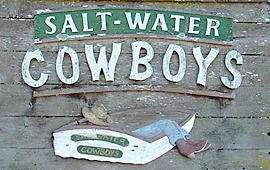 You'll find Salt Water Cowboys perched above wildlife-laden salt marshes flanking the Intracoastal waterway. The interior is reminiscent of a turn-of-the-century fish camp. 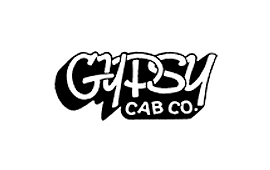 Serving up their own brand of fresh seafood, BBQ ribs, chicken, steaks, Gator Tail and soft-shell turtle to locals and visitors for 35 years. Come see us!